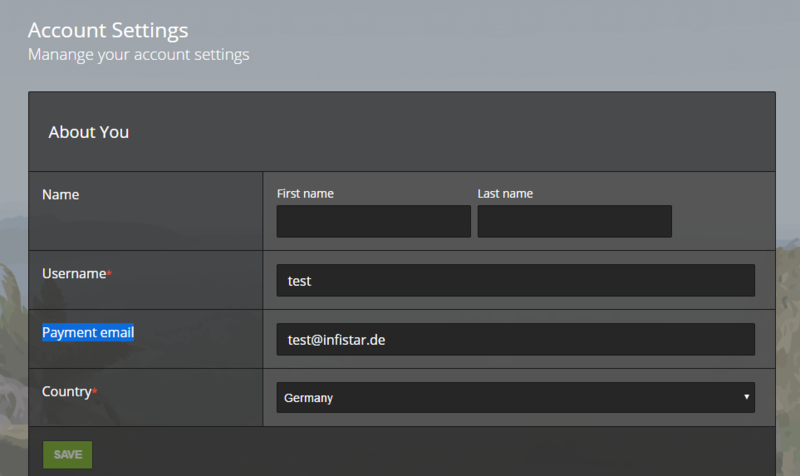 since the new infiSTAR website is live YOU need to create an account to get access to the downloads! I did not create any account for anybody besides myself. You need to do that on your very own. You can use any email address but it would make most sense to use the one that you had used to login on the old download website. Most important are the account settings where it says "Payment email"
That email needs to be one that you have used to download updates before, since that is the only "identifier" that I have left from the old database. Then it will be connected with your new account.